A cherished pastime of my dad’s is fishing. I recall many times he came back boasting about his catch, while some trips brought home nothing but disappointment. Nonetheless, one of my fondest memories is standing around our home-made jerk pan with packets of foil paper housing the most delicious (and spiciest) jerk conch, while tearing off chunks of hard dough bread to sop up the juices. Conch meat is revered worldwide for its unique taste and aphrodisiac properties. The meat is extracted from its shell, pounded to tenderize, and marinated in jerk seasoning. The little bits of succulence usually get wrapped in foil and thrown on the grill, and is ready for eating in about 30 minutes. What you get is sweet, tender chunks of conch swimming in its own spicy juices from the jerk marinade. Deliciousness! Scrape conch lightly with a sharp knife to clean. Gut it and use a heavy object, e.g. a hammer to pound it – that will tenderize the conch. You can also pressure it to soften it. Clean conch and cut into small 1” pieces. Using a pressure cooker, cook the conch in salted water for 20 minutes and strain. 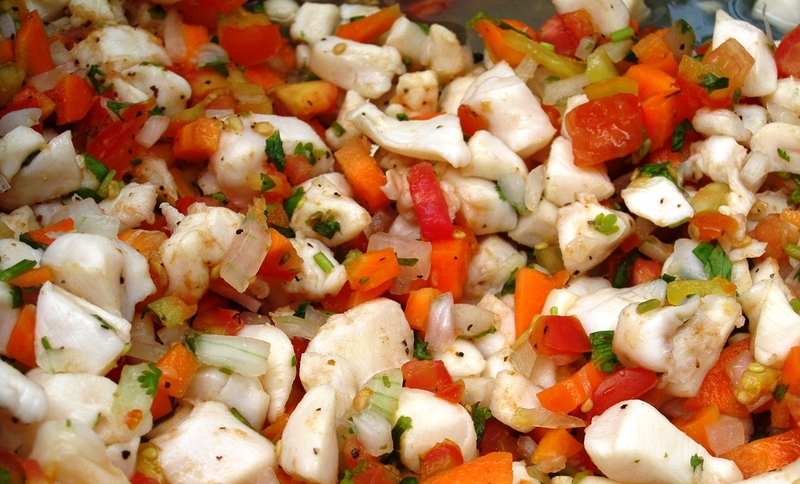 Combine conch pieces and seasonings and allow to marinate for at least 30 minutes. Put small portions into foil, and seal properly, and place on a grill and cook for 15-20 minutes. Serve with festival or hard dough bread. Melt the butter in a small skillet. Lightly sauté the scallions until golden. Add the 3 teaspoons of lemon juice. Add ½ teaspoon of Jamaica Pickapeppa sauce or 3 drops of Jamaican hot pepper sauce optional depending on your taste). Let it simmer for about 1 min. then set aside. Remove the membrane from the lobster tails. Use a sharp knife to split the lobster tail in half (length). Use a brush to put the butter sauce on each tail. Using the same brush spread the Jerk sauce over the tails especially on the exposed meat. Put your oven setting to broil. Put the lobster tails in oven on the meat side for 4 minutes, turn and then cook the shell side for 2 minutes. If you want a more smoked taste, you should cook the lobster tails for 2 minutes on each side in the oven, then place on a barbeque grill for 3 minutes. You may need to add more Jerk sauce if you put it on the barbeque grill. Serve with Jamaican Festival and/or Bammy. You can also serve with Jamaican hardo bread. Read more about jerk lobster and where it can be found here. A touch of soy sauce can be added to moisten the mixture. Rub the lamb with the blended seasoning. Leave to marinate for a couple of hours or overnight. Place rabbit parts in a bowl. Combine remaining ingredients in a blender for about 15 seconds. Pour mixture over rabbit and coat evenly. Preheat oven to broil and place rack at the top. Broil about 20 minutes, turning meat 2-3 times until browned and crispy on all sides. Read more about jerk rabbit and where it can be found here. Grill the pig’s tail for 2 minutes on each side, best done on an outdoor grill, otherwise preheat your grill pan. Read more about jerk pigstail and where it can be found here. Recipe provided by aspiring Jamaican chef Brittany Blackwood. Tip: The younger the billy, the sweeter the meat. Depending on the size of the rib, cut into smaller pieces. Cover with 2-3cups of water and cook pressure cooker for 20-30 minutes or until tender. After you’ve removed it from the pressure cooker, season with salt and pepper and transfer immediately to a grill/jerkpan/griddle/oven dish. (see below for grill/jerk pan method). Add mint leaves to the remaining liquid in the pot and allow to steep. Baste the garlic with oil and add to roasting pan/oven dish. Add goat ribs to pan, cover fully with foil and allow to roast for 15 minutes. 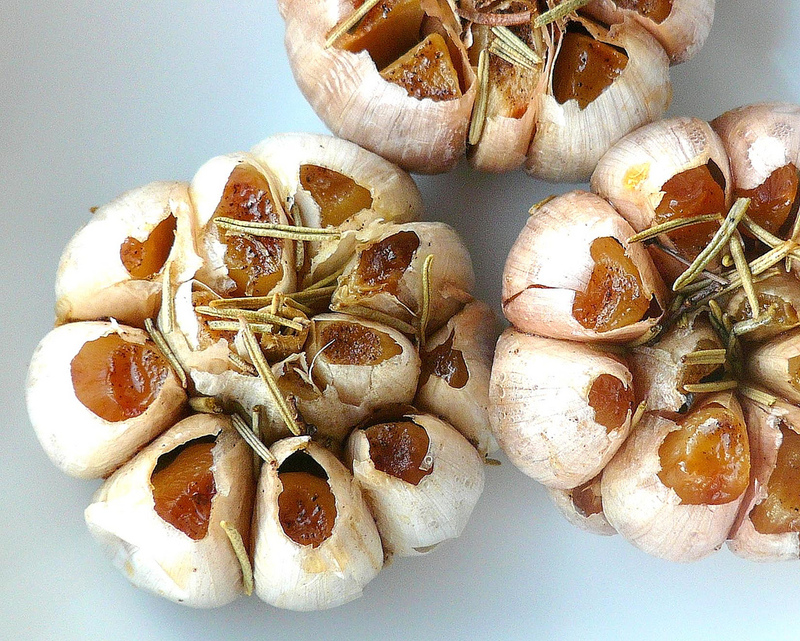 After 15 minutes remove garlic from oven and remove cloves from trash. Continue cooking goat uncovered in the oven. Blend garlic w/ goat mint stock until smooth. Strain. Reduce the liquid for 5-10 minutes. While the sauce is being made, the goat should be caramelizing in the oven. If not add a little a bit of sugar to the top. Leave goat rib in the oven for a next 30 minutes. Begin to baste after 30 minutes with reduced mint liquid and continue to do so for a next 15. After removing goat rib from oven (step 4 aboe), place on hot grill surface, turning the goat rib every 20 minutes. Goat rib should be soft and caramelized. Other notable jerk dishes – usually found at specialized eateries or at one of the many Jerk Festivals held throughout the year – include: jerked tofu; reindeer (yes); saltfish; and crab. Oh yea, and JERKED ICE CREAM. 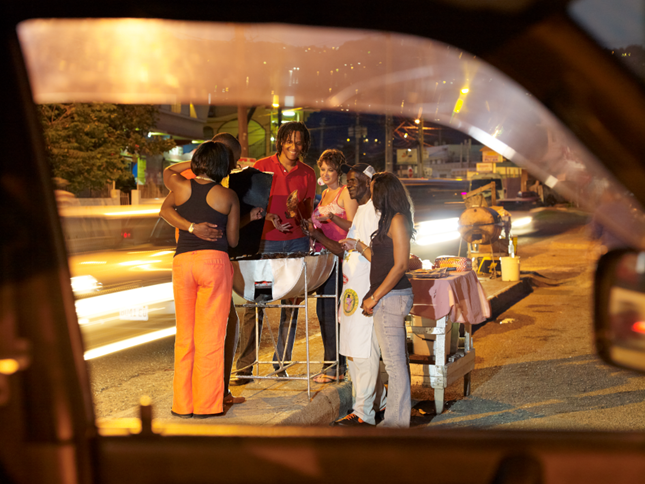 Read more about these and other non-traditional ways to enjoy Jamaican jerk in this recently published article by F1rst Media and download their all-new and exciting mobile app to search, discover, connect, and share local places in the Caribbean. Looking for a delicious and super nutritious dish that’s easy to prepare and won’t leave you feeling hungry? 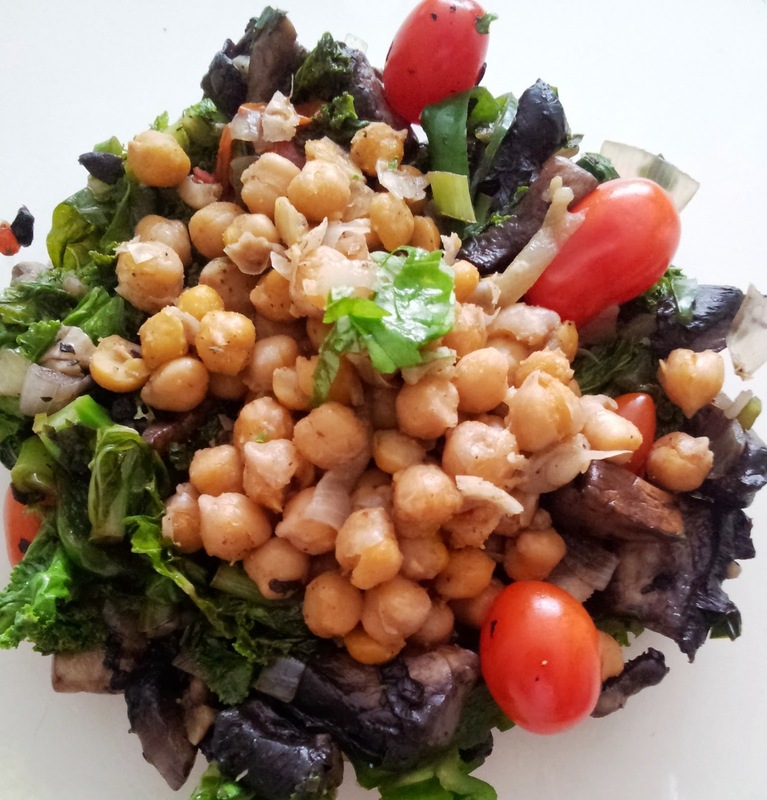 My kale and garbanzo salad with portabellini mushrooms and grape tomatoes will surely please the palate and satisfy the stomach. In a large skillet, sauté onion & garlic in olive oil over medium heat for five minutes or until onions soften. Add kale, mushrooms, and garbanzo beans along with paprika, salt and pepper, and sauté for an additional five minutes. Add grape tomatoes, white wine and lemon juice and deglaze the pan, allowing ingredients to simmer and liquid to be fully absorbed. Scatter chopped basil leaves, lemon zest, and adjust salt & pepper if necessary. The creamy protein and fibre rich garbanzo beans work well with hearty, meat-like chunks of portabellini mushrooms to provide a satisfying bite. 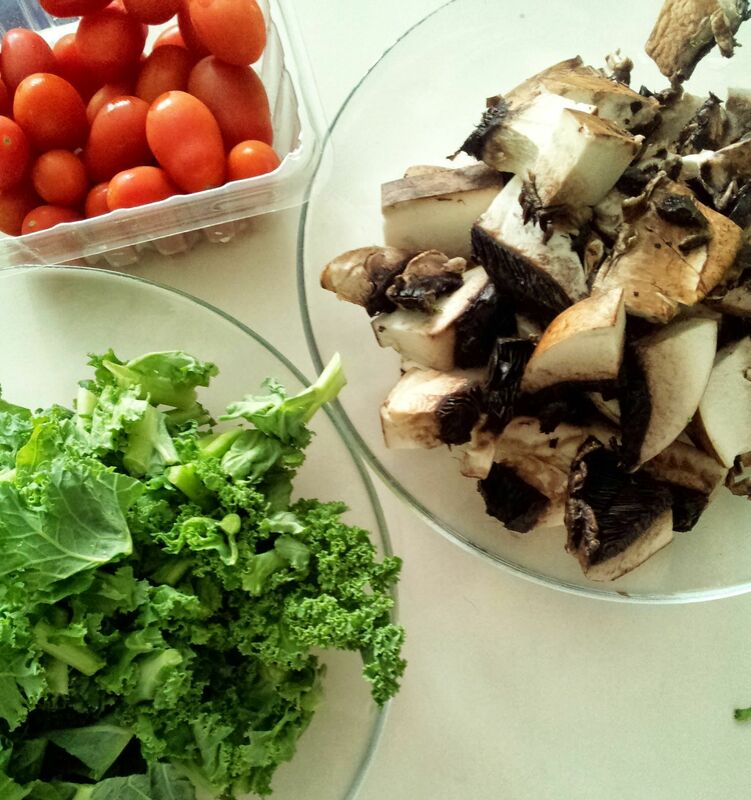 Add a few leaves of the world’s most nutrient-dense food on earth (read more about this here) with a few grape tomatoes for colour and taste and you’ve got a killer combo. The finishing touch of lemon juice and zest brightens the dish, increasing the intensity of flavours, and add a necessary tang to round out all the goodness colliding in this one salad. Your body and taste buds will thank you for it. There are quite a few things happening here, and I am not too sure how to process it all. First, I am still on a high from the delicious success of this off the cuff recipe. But probably more unsettling is that I am confused, happy, and a tad uncomfortable with how much I ended up liking celery after years of shunning the vegetable. This recipe idea came about for two main reasons: I bought a pack of celery stalks with the hopes of beginning the journey to acquire the taste for it; and secondly I had just roasted a whole chicken and wanted to repurpose it and create a fun recipe. The end result? A chicken, chickpea and celery salad, with a refreshingly zesty lemon vinaigrette. 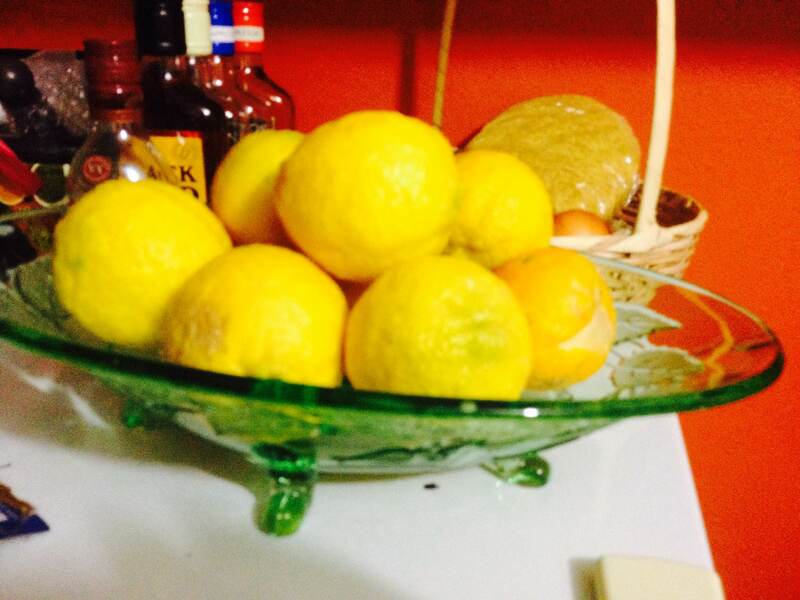 (See my note on zesting a lemon in a previous post). Add butter to a skillet over medium heat and sautee chicken chunks until heated through. Remove from heat and set aside. Season chickpeas with salt, pepper and cumin. In the meanwhile, whisk together lemon juice, lemon zest, and olive oil in a mixing bowl. Adjust salt and pepper accordingly. 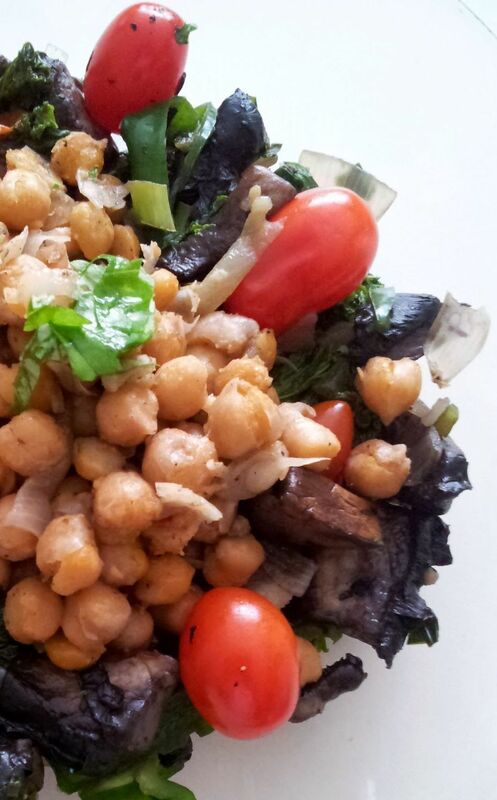 Combine sauteed chicken breast, celery and seasoned chickpeas in a mixing bowl. Pour vinaigrette and fold to combine. Transfer to the refrigerator and allow to chill for at least one hour. I deboned a chicken breast from the Chinese five spice whole roasted chicken I made earlier that day. Any roasted chicken will do, and you can even use poached chicken breast or your favourite part. I reheated the chicken breast by sautéing the chunks in a tsp of butter. This allows the chicken to be rehydrated and makes the dish a little heartier. 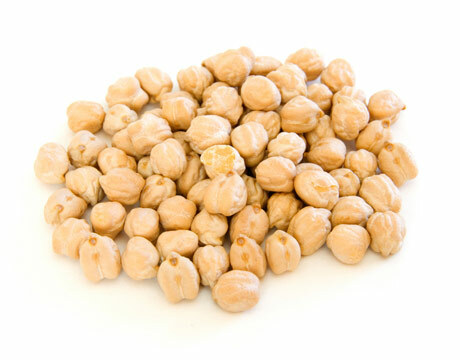 Because they tend to be bland, it’s best to season the chickpeas before combining with the rest of the ingredients. You can use regular S&P or some seasoning salt to give it an extra kick. I added cumin for another depth of flavour. Allow the dish to sit at least an hour in the fridge after adding the lemon vinaigrette. The ingredients will have time to soak up that lemony goodness and the flavours will come together better. I must admit, for someone who was warming up their tastebuds to the aggressive and sharp bite of celery this was a pretty daring move diving head on into a dish with raw celery as a main component. 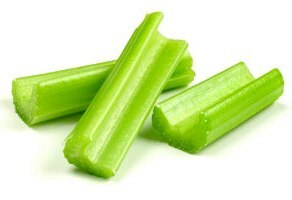 Cooked celery isn’t as strong. The beauty of the palate is that it’s constantly changing and adapting to new tastes. But sometimes we grow so comfortable in the usual fare that we refuse our palates the right to grow and explore a much bigger, more exciting world of taste. Don’t be that guy. 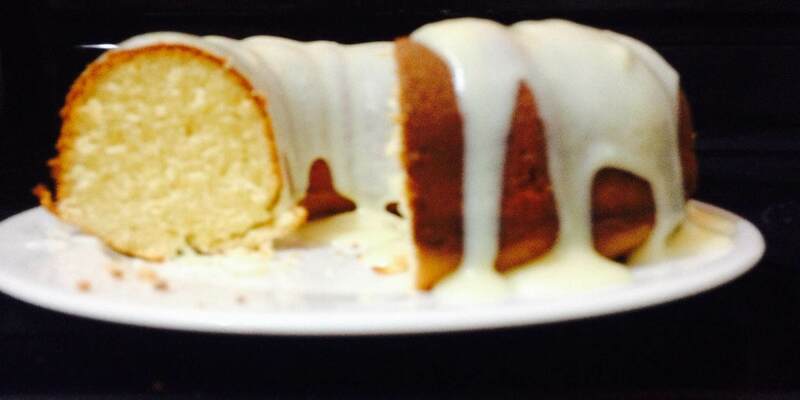 When life (read: a co-worker) gives you lemons, you make lemon-cake-with-coconut-vodka-cream-cheese-frosting, duh. I mean, what else? Now, if you’re a keen ROF follower, you’ll notice that there aren’t any dessert-related posts on the blog. I am really not a big fan of sweets, nor do they fit into my healthy lifestyle regime. (Or, quite possibly it’s because my baking skills aren’t at a level where they can be shared with the world.) 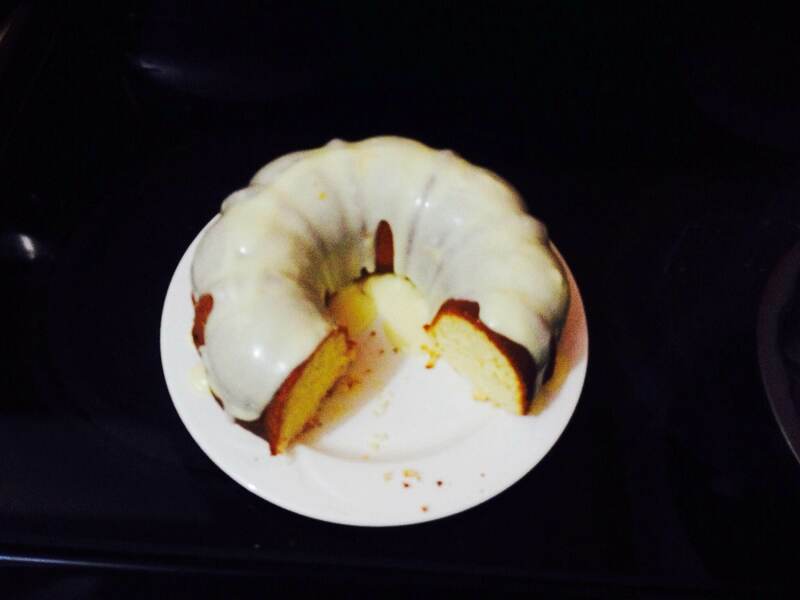 But I surprised myself over the weekend when I attempted to make this cake from my recently-acquired lemons. One of my favourite desserts hands down is a good plain cake, and this come pretty close. Preheat oven to 350°F. Generously coat a Bundt pan with non-stick cooking spray. In a medium bowl, sift flour along with baking powder and salt. In a mixer fitted with a whisk attachment, cream butter until smooth. Add sugar and continue creaming until sugar crystals are fully dissolved into butter and mixture doesn’t feel grainy. 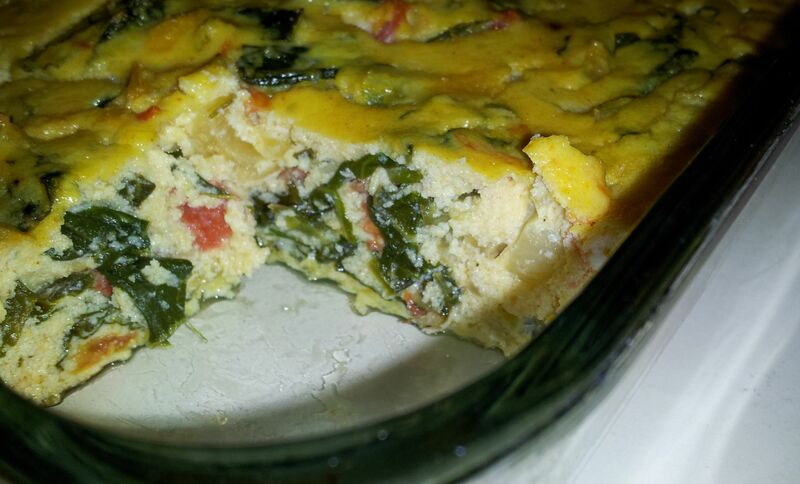 With the mixture at a low speed, add eggs one at a time, allowing each to fully incorporate. Add the vanilla. Alternating dry and wet ingredients add the flour mixture and lemon juice and zest in small batches and mix until smooth. (You may have to scrape the sides of the mixing bowl with a spatula to fully incorporate flour). Pour mixture in to greased Bundt pan and bake for 25-30 minutes, or until a toothpick inserted in the centre comes out clean. Remove from oven and allow to cool in pan for 15 minutes. Gentle shake pan until all sides are loosened. Place on a desired serving platter and invert pan to remove cake. We’re not done yet. Even though the cake is delicious as is, there’s always room for a little booze. And cream cheese. Here’s what you’ll need. Over medium heat, melt butter. Add cream cheese, vanilla, lemon juice and zest, and whisk to incorporate. Add sugar and mix thoroughly. Add vodka and mix thoroughly. Mixture should be the consistency of a thin porridge. Use water to thin mixture as necessary. If mixture is too thin, continue stirring over medium-low heat until desired consistency is achieved. Spoon hot frosting over cake and allow to cool at room temperature. Yes, it does taste as awesome as it sounds. And it really doesn’t get much simpler than this. Sifting the flour along with the rest of the dry ingredients does two main things: it allows lumps and other unwanted particles to be removed, while aerating the flour allowing for a lighter cake in the end. Sifting also allows for the rest of the dry ingredients (in this case, the salt and baking powder) to be properly incorporated into the flour before it’s mixed into the rest of the batter. Using lemon zest really makes the cake that more lemony as opposed to using just the juice. The zest contains essential oils packed with lemon flavour. To zest a lemon, you can rub the lemon along a fine grater, rotating each time, ensuring only to grate the top layer of yellow skin. Avoid pressing too hard and grating the white pith, which is extremely bitter and will spoil the taste of your cake. 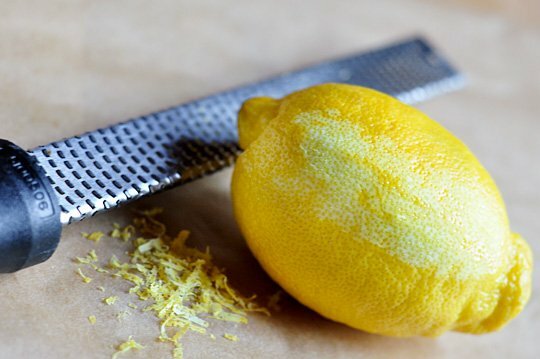 You can also use a zester and gently scrape the holes of the zester along the surface of the lemon from top to bottom, also rotating as you go along. You’ll end up with longer ribbons of zest, which u can then chop into finer pieces. Ingredient temperature is an important factor in baking. If a recipe calls for something chilled, best you chill it. Just as important is allowing ingredients to be at room temperature before incorporating them. For example, room temperature eggs will disperse more easily through the batter and allow for a fluffier cake. Cold butter does not beat well. Cold milk (or water) will coagulate and create clumps in the batter, requiring extra beating time to mix the ingredients. The easiest way to get your baking ingredients to room temperature is to simply allow them to sit at – room temperature. P.S. Thanks to my handy little helper, Corve, who thoroughly enjoyed the process and end result. Also, apologies for the crappy photos; my camera (phone) is out of commission for now. 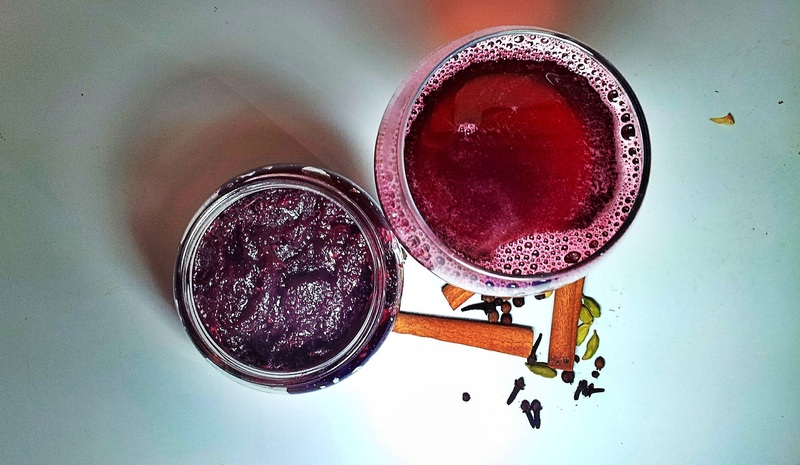 For most people in the Caribbean, Christmas isn’t the same without a glass of sorrel, chilled to perfection, especially when made with a shot or two of “festivity” (read: rum). 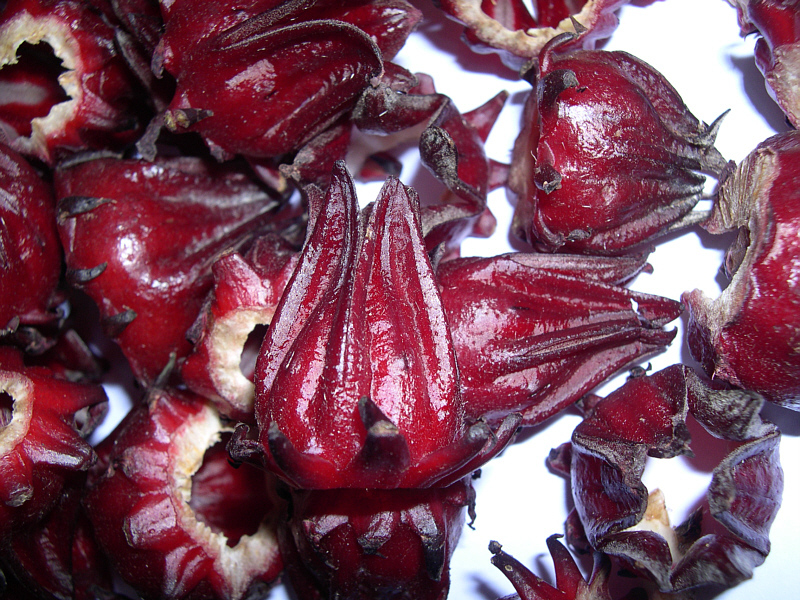 But these exotic, crimson red sepals can also be enjoyed in other forms. 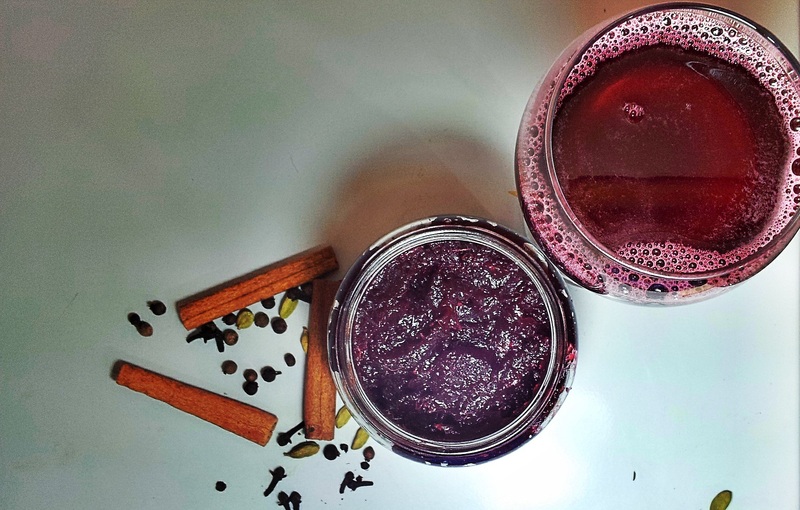 Here’s a simple but divine recipe for my all-natural, no-preservative-added sorrel drink and jam with cardamom, ginger, cinnamon, cloves, and pimento. 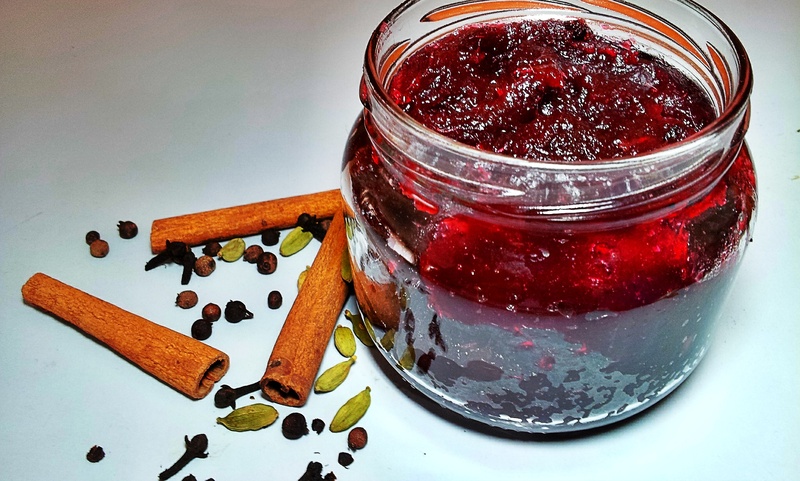 (This recipe puts nothing to waste since the jam is made from the leftover pulp after the juice has been extracted to make the drink). Pour water into pot and add cinnamon sticks, cloves, ginger, pimento and cardamom and allow to come to a boil. Add sorrel to boiling water and continue boiling the mixture for about 10 minutes. Remove from heat and let steep for at least 8 hours. Overnight is best. Using a strainer, separate the liquid from the pulp. Discard the cinnamon sticks and set pulp aside. In a large jug, stir in sugar to sweeten. Adjust sweetness if necessary. Store in bottles and refrigerate. (The mixture is best when left to refrigerate overnight so the flavours can further develop). Add puréed mixture to a large pot over high heat and stir in water, sugar, rum, and lime juice. Allow mixture to come to a boil then reduce heat and let simmer for 25-30 minutes, stirring occasionally to avoid burning. After mixture is reduced to jam-like consistency, remove from heat and allow to cool. 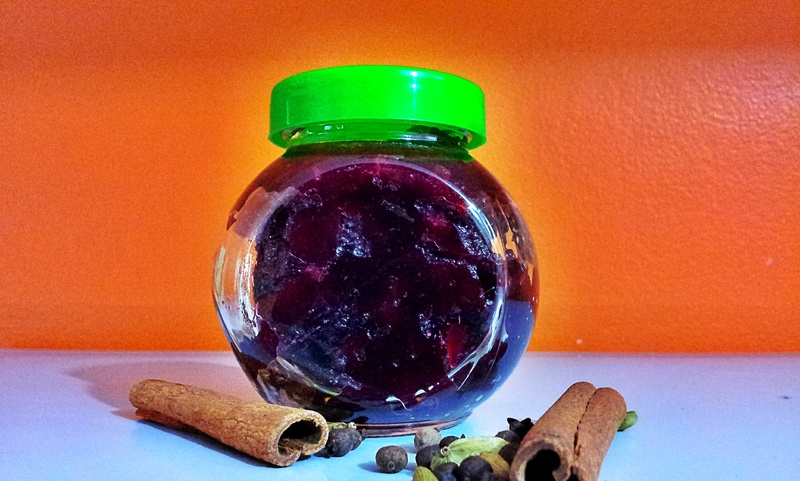 Pour in sterilized glass jars and store in refrigerator. You can enjoy your jam with crackers, on bread, with peanut butter, or one of my faves; with cream cheese spread on warm bagel. You’ll never buy another jar of jam again. 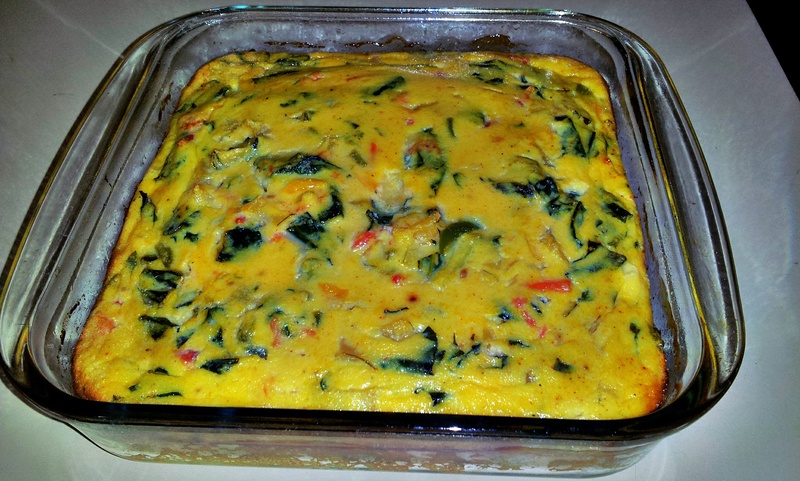 Looking for a healthy but filling dish packed with essential vitamins and nutrients? 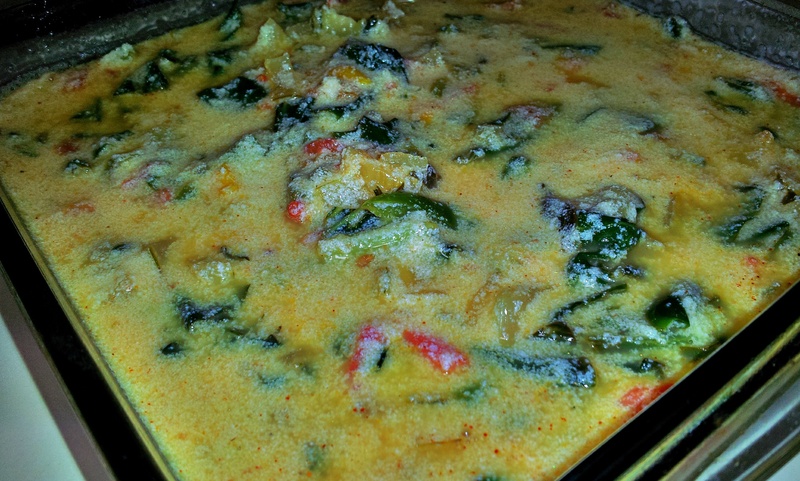 Then this low-fat, protein-rich pak choi frittata with skim ricotta is a great option. And a tasty one too. 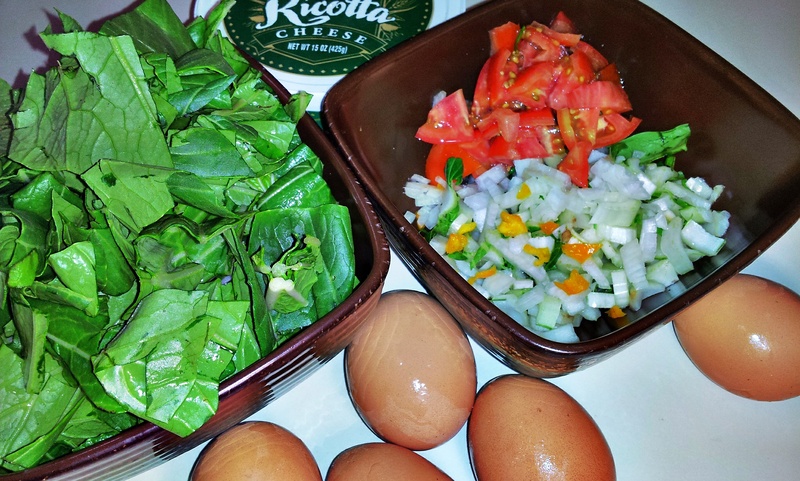 Frittatas are comparable to quiches, but without the crust and with eggs as the main ingredient, usually mixed with a cheese of choice and all cooked or baked in a deep pan. 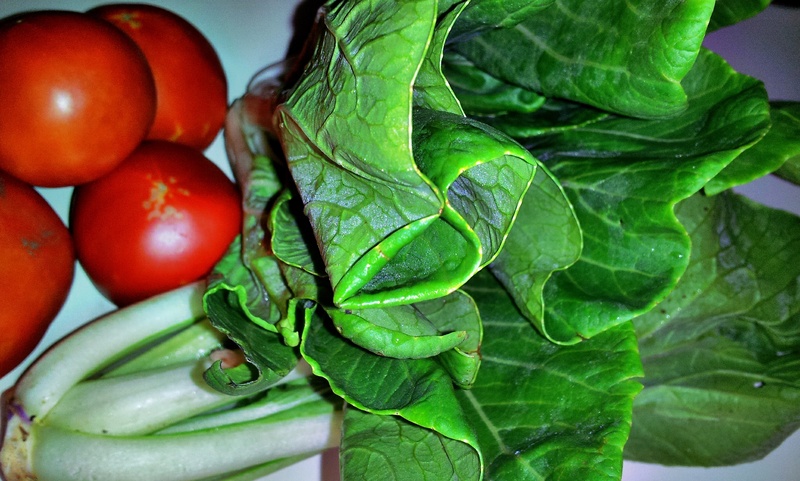 Some common additions include dark green leafy vegetables, usually spinach (in this case I am using pak choi, but callaloo can also be used), mushrooms, bell peppers, etc. The possibilities are endless. I am lover of eggs, for both their taste and versatility as a key binding and leavening agent for a host of dishes. In a skillet, sauté tomato, bell pepper, onion, garlic, scotch bonnet, salt and pepper for 2 minutes to begin to release their flavours. Whisk eggs, ricotta cheese together, adjusting salt as necessary. Combine sautéed pak choi with egg and cheese mixture and stir to combine. Spray a 9-inch baking dish with cooking spray and fill with mixture. Bake for 30 minutes, or until browned on top and set. Allow to cool for 15 minutes, cut in wedges and serve. You can enjoy your frittata with a few slices of toast, or you can skip the extra carbs and dig straight into the protein goodness. A sprinkle of parmesan cheese gives it a salty kick with an extra nuttiness. This is a lighter take as I opted to use ricotta cheese which is naturally low in fat but protein-dense. If you’re looking for something creamier and richer, you can substitute the ricotta for your favourite cheddar or mozzarella cheese.